“Nowadays abortion is not just permitted but promoted! I can not accept it, not just for a question of faith but because I love France,” Archbishop of Strasbourg Luc Ravel says to French magazine Dernieres Nouvelles d’Alsace. “Muslim believers know very well that their birthrate is such that today, they call it … the Great Replacement, they tell you in a very calm, very positive way that, ‘one day all this, it will be ours’,” he added. The concept of the Great Replacement was coined in 2010 in a speech given by conservative writer Renaud Camus and then later in his 2011 political book, The Great Replacement. Camus defined the Great Replacement as the transition of a society, often through mass migration, in a few generations in which the names of places remain the same but the people and their values totally change. 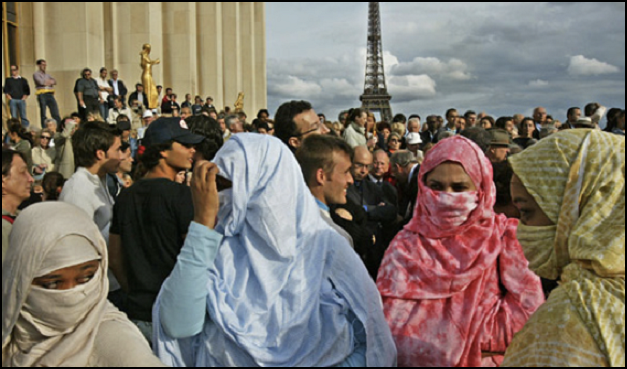 29% of French Muslims consider sharia more important than French laws, a recent poll found.